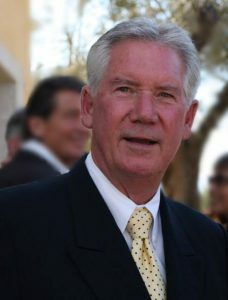 Tribute to Doug Long of Obelisco Estate, R.I.P. - Write for Wine: It's Wine O'Clock Somewhere!Write for Wine: It's Wine O'Clock Somewhere! 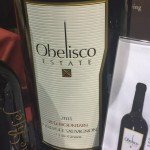 Doug’s passion for winemaking showed in his award-winning Obelisco wines. We have been major fans of his Electrum, Nefer and Cabernet Sauvignon, although we also enjoy every wine he made. The only thing Doug loved more than winemaking was his wife Betsy, his daughters, Melissa and Whitney, and the rest of his family. 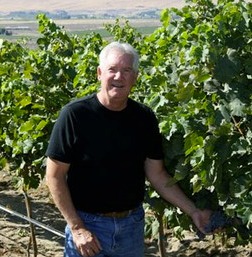 They moved to Washington state from Napa, where he started his first winery, David Arthur — named “Winery of the Decade” by Wine Spectator in 2000. The 1997 vintage scored 99 points. Once here, he planted a vineyard in the incredible Red Mountain AVA in 2004. And then he applied his Napa Valley winemaking skills to Washington state grapes. His wines will continue to shine for years, and we shall toast him every time we raise a glass. You can also honor Doug by visiting one of Obelisco’s two tasting rooms in Woodinville – in the Apple Farm Village at 14525 148th Ave NE, suite 121 and in the wine warehouse at 19495 144th Ave NE. Doug is survived by his devoted wife of almost 50 years, Betsy; his daughter Melissa Vilar, her husband Jacques and their two children, Isabella and Phillip; and his daughter Whitney Patterson, her husband Adam and their three children, Eveleth, Robert and Reagan. He is also survived by his father Donald Long, his brothers Robert and David Long, Ken Abbott and many nieces, nephews and godchildren. Rest in Peace, Doug. You will be missed, and remembered fondly and deeply by so many. Our prayers and hearts are with you and your family. We will toast you with a bottle of your beautiful wine tonight. This entry was posted in Red Mountain, Washington, Wine, Woodinville and tagged Cabernet Sauvignon, Doug Long, Electrum, estate wine, Napa Valley, Nefer, Obelisco Estate, Red Mountain, Washington wine, Washington wineries, Woodinville by Margot. Bookmark the permalink.